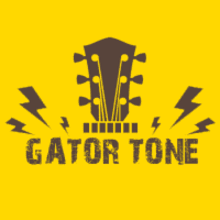 The Gator Tone is an independent and premiere full-service musical instruments retailer source in the United States for the students to professionals. We offer several name brands of musical instruments and accessories ranging from folk instruments, woodwind, brass, drums, guitars, amplification, pro audio, orchestral strings, cases & gig bags and much more. Authorized dealer of Washburn, Warwick, Randall, Supro, Hagstrom, Cort, Hamer, Hofner, Indiana Guitars, Mahalo, Oscar Schmidt, Jean-Paul USA, Mid-East, Banjira, Roosebeck, Ana sounds, Paracho Elite Guitars, Danelectro Guitars, Crestwood Guitars, Indiana Guitars, Little Grass Shack Ukuleles, TKO Percussion, Furman, Shure, Sennheiser, Yamaha, Fender, Audio Technica, Daddario, Remo, Dunlop, Grover, LR Baggs, Ultimate Support & much more! We offer prices that are consistently among the lowest in the country. Our expertise and commitment to service are unmatched in the industry, making us the provider of choice to students, amateurs, and professional musicians across the United States and around the world. We are proud to provide quality products with excellent customer service support. We ship items by using USPS, UPS, FedEx & DHL. Shipping tracking information will be provided to Reverb upon shipment. We ship to the lower 48 States. Shipping charges for Alaska, Hawaii, Puerto Rico and worldwide will be calculated additionally. •	We do not ship to the PO Boxes so please before placing an order provide the shipping street address. •	After receiving orders, Items will be shipped in 1 to 3 business days and shipping tracking will be updated in Reverb. *Shipping time will be longer (3 to 5 business days)during the Thanksgiving & Christmas season.